On-ice shooting percentage counts all shots taken at the opponent’s net when a player is on the ice, including those by his teammates. It’s a measure of how successful a team is at converting its shots with a certain player on the ice, whether or not the player is the one doing the shooting. One of the things I like to do in this space, in between reminiscing about the Norris Division and breaking down hockey player lip sync videos frame by frame, is occasionally dip a toe into the advanced stats waters. So far this season, we’ve already introduced most of the basic concepts, walked through how they can be used to project success or failure for a given team, and looked at the surprising importance of zone entries. Today, let’s take a crack at on-ice percentages. It’s a concept that presents a slight variation on some common stats you’re already used to, and it doesn’t involve any especially onerous math, but it can end up being crucially important to understanding a player’s more traditional stats. And that turns out to be especially true when those stats start telling us something we weren’t expecting. Let’s start with on-ice shooting percentage. What is on-ice shooting percentage? You’re already familiar with a player’s regular shooting percentage, which is a basic stat that most fans understand well. Shooting percentage is simply the percentage of shots on net taken by a player that result in a goal. A player who takes 300 shots and scores 30 goals is shooting 10 percent. That would be better than the league average, which over the last several seasons is right about 9 percent. On-ice shooting percentage is essentially the same concept, but with an important twist: It counts all shots taken at the opponent’s net when a player is on the ice, including those by his teammates. It’s a measure of how successful a team is at converting its shots with a certain player on the ice, whether or not the player is the one doing the shooting. Like any stat, on-ice shooting percentage can be applied to all game situations or broken down further by specifying even strength, close situations, etc. It’s a fairly new stat, since it relies on data we’ve only had available to us for a few years. Unlike regular shooting percentage, on-ice shooting percentage isn’t typically mentioned on TV broadcasts or in newspaper stat packages. But it’s become relatively easy to find online, and you can now pull on-ice shooting percentages for every player on sites like ExtraSkater.com (where it appears on every player page as “Sh%” under the dashboard’s “5 on 5 on-ice” header). It should go without saying that on-ice shooting percentage will have an enormous impact on a player’s more traditional stats. If a high rate of his own shots go in, he’ll score more goals. If a high rate of those taken by his teammates go in, he should expect more assists. And unsurprisingly, that’s exactly what we see. Many of this year’s top scorers, including guys like Evgeni Malkin, Ryan Getzlaf, Sidney Crosby, and John Tavares, also rank in the top 20 for overall on-ice shooting percentage among players with at least 52 games played. That’s nice, but not necessarily all that useful — after all, we don’t need advanced stats to tell us those players are having good years. The real value here, like with most advanced stats, would lie in helping us make educated guesses about the future, and which players are most likely to sustain their level of performance. On-ice shooting percentage could do that, but first we need to know whether it’s primarily driven by skill or luck. If it’s a skill, we’d expect players with high percentages to keep racking up points. If it’s mostly luck, we’d expect them to be top candidates to fall back to earth. So which is it? Let’s find out. 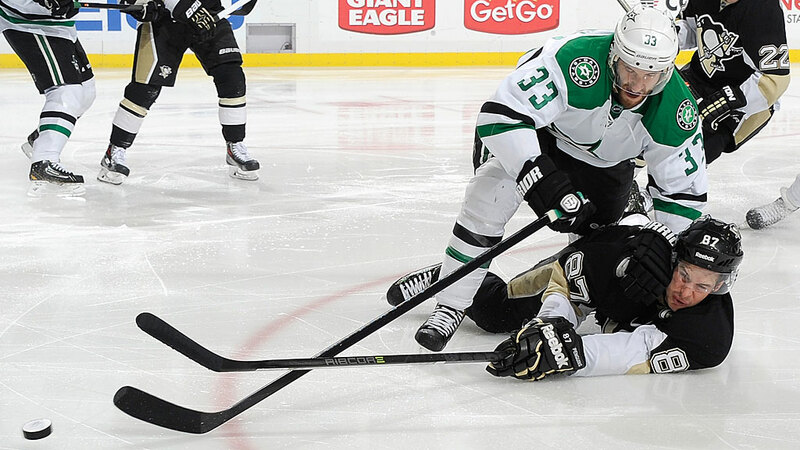 On-ice shooting percentage: luck or skill? Putting aside the numbers for a second, common sense would tell us that on-ice shooting percentage must be at least partly based on skill. You would expect a team to score more often when a player like Crosby is on the ice — in addition to being good at scoring on his own shots, he’s creating space for his teammates, driving play in the offensive zone, and making seeing-eye passes to open teammates for tap-ins. The eyeball test shows that elite players like Crosby create better chances for everyone they play with. Similarly, we’d expect a fourth-liner with hands of stone to have a low percentage, because even when he does get a puck on the net, he just doesn’t have the skill to create many top quality scoring chances, for either himself or his teammates. But to confirm this, you’d want to look back on several years’ worth of stats and see which players were posting the best (and worst) percentages. Luckily for us, Oilers blog Boys on the Bus has done that work for us, in this post from the offseason. Scroll down about halfway and you’ll find this table, which lists the top 25 and bottom 25 players in on-ice shooting since 2007. The top player in the league over that span, by a decent margin, is exactly who we’d expect it to be: Crosby, at 12.76 percent. Next is Martin St. Louis at 11.08 percent, followed by Getzlaf (10.53 percent) and Henrik Sedin (10.50 percent) — all excellent players. Names like Alex Ovechkin, Malkin, and Pavel Datsyuk show up too. And in fact, with just a handful of exceptions, the top 25 is basically a who’s who of the league’s top offensive players. By contrast, the bottom 25 features plenty of enforcers and grinders, most hovering in the 6 to 7 percent range. They’re not bad players, necessarily, but they’re not guys who are in the lineup to create offense. We see more fluctuations as we narrow down the sample size — a player’s on-ice shooting can change significantly from year to year, and if we break it down by months or even weeks, it starts jumping all over the map. But over a multiyear sample, we more or less get the results we’d expect. That’s strong evidence that driving a high on-ice percentage is indeed largely a skill, and one that seems to be relatively sustainable over time. So skill matters. The next questions is: How much? Look back at the list again, and it’s apparent that the gap between the best and worst isn’t exactly huge. Except for the handful of guys at the very top, we’re basically looking at a leaguewide range of 7 to 10 percent. And in fact, the gap between the 25th best and 25th worst is just more than 2.5 percent, or one shot out of every 40. One shot out of 40 is still a pretty big deal — in a league in which teams average about 30 shots a night, it’s closing in on a goal per game. But it might not be as wide a range as you’d have expected. So yes, on-ice shooting percentage is driven by skill. But over a large enough sample size, it’s worth noting that nobody other than Crosby seems to be able to keep one much over 11 percent, and even Crosby tops out at less than 13 percent. Similarly, even the league’s worst offensive players should expect to be north of 6 percent. Those end up being useful numbers to remember, because over the short term we’ll often see players going well above or below them. And when they do, our “random chance” red flags should start waving. Imagine a player starts off his season with a surprisingly productive first few months. You’re wondering whether he has made the leap to stardom, or whether he’s just benefiting from especially good puck luck. You check his on-ice shooting percentage for the season and find it hovering around 15 percent. Is his success sustainable? Ask yourself: Did this player suddenly become a significantly better offensive weapon than Crosby? Or is it more likely that we’re seeing some random noise due to a swing of good luck that’s going to even out over time? We can’t know for sure, but when you look at it objectively through the lens of on-ice percentages, the most likely answer seems pretty clear. Of course, that can be easier said than done for passionate fans who often prefer to engage in wishful thinking. This is a post about advanced stats, so you knew the Maple Leafs were showing up eventually. In 2009, the Maple Leafs drafted center Nazem Kadri with the seventh overall pick. Toronto fans had high hopes for the Kadri era, partly because he had put up strong junior numbers and partly because this was hilarious. But over his first few pro seasons, Kadri failed to earn a full-time spot in the NHL. There were questions about his conditioning and commitment. He hadn’t quite been labeled a bust, but he was on that path. And then, in the lockout-shortened 2013 season, the breakout finally came. Kadri scored at a point-per-game pace through 40 games, spending much of the season among the league’s top 10 scorers. While Leafs fans rejoiced, traditional media outlets speculated about what had led to the turnaround. The usual narratives were trotted out. He’d figured out what it took to be a pro. The Leafs’ tough love approach had worked. The lightbulb had turned on. Predictably, many Leafs fans scoffed, and more than a few hurled witty one-liners targeted at Mirtle and his spreadsheets and slide rule. Fast-forward to this season, and Kadri’s 5-on-5 on-ice shooting percentage has dropped from last year’s sky-high 15.2 percent to a more realistic 9.2 percent. As you’d expect, his scoring rate has also dropped, to roughly .7 points per game. Still very good numbers, but well off last season’s breakout. But luckily for Leafs fans, Kadri’s offense has been largely replaced by a breakout season from Tyler Bozak, the oft-maligned center who’s on pace to shatter his career high in points. Last year’s Kadri bandwagon now sits mostly deserted, while Leafs Nation debates whether Bozak is now the team’s most valuable player. Hey, anyone want to guess who is tied for first in the entire NHL in overall on-ice shooting percentage this year? What about the other end of the ice? If we can learn something from a player’s on-ice shooting percentage, you might be wondering whether the equivalent stat exists for another commonly cited percentage: save percentage. And it does, which is lucky for us since otherwise this whole section would be pretty dull. On-ice save percentage is basically what the name implies: the percentage of shots directed at his team’s net that are saved when a particular player is on the ice. It should probably go without saying that a player’s on-ice save percentage is heavily influenced by his team’s goaltending, which is why leaguewide comparisons are less useful here. But we’ll often see pretty wide gaps even among players on the same team, especially over small samples. So let’s go back to that key question: Are we seeing the result of luck or skill? Again, the common-sense approach might assume there has to be a large skill component involved. A bad defensive player gives up breakaways and odd-man rushes and leaves men open in the defensive zone. Meanwhile, the Zdeno Charas of the world force everything to the outside and make opponents settle for low-percentage chances. But unlike on-ice shooting, there doesn’t seem to be much consistency across players when we look at on-ice save percentage. While the on-ice shooting leaderboard features plenty of offensive stars, the top players in on-ice save percentage are a mishmash of grinders, first-liners, two-way guys, and enforcers. When Teemu Selanne is close to Brian McGrattan, something weird is going on. In fact, when you stretch the view out over several years, it starts to look almost random, especially among forwards. (Defensemen are a little more predictable, but not by much.) There seems to be an awful lot of luck involved here. And perhaps more importantly, it can affect how the player is perceived by the “just watch the games” crowd. A player who benefits from a great on-ice save percentage never seems to get scored on, while a player with a low percentage always seems to be skating to the bench with his head down while a goal horn blasts. For a stat that players don’t seem to have all that much control over, on-ice save percentage sure can drive a narrative (as demonstrated brilliantly here). But most of that ends up being unfair. 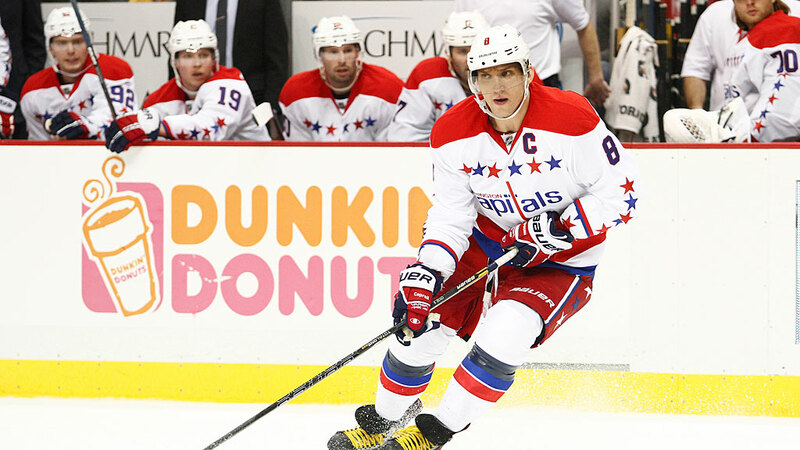 Putting it all together — What’s wrong with Alexander Ovechkin? Let’s take everything we’ve just talked about and apply it to Ovechkin’s season. From a goal-scoring perspective, he’s been his usual dominant self — barring injury, he’ll win the Rocket Richard Trophy for a fourth time, and it won’t be close. But he’s still in the middle of what many are labeling an off year, thanks to an unusually low number of assists that has kept him out of the Art Ross race for most points. Meanwhile, his ugly minus-31 rating has led to plenty of criticism of his defensive game. Just based on those numbers, you might start to draw some conclusions about Ovechkin. Sure, he’s scoring as much as ever. But maybe now he’s doing it by playing the role of lazy puck hog, firing away from every angle while ignoring his open teammates, then not even bothering to come back and play defense. But once we look at Ovechkin’s on-ice percentages, a different picture starts to emerge. Ovechkin’s 5-on-5 on-ice shooting percentage this year sits at just 6 percent. Last year, with the same coach and system and many of the same linemates, it was 10.3 percent, and it’s never been below 8 percent in his career. Think back to that six-year table from before, and remember that 6 percent is basically in the George Parros/Travis Moen ballpark. Even more amazingly, Ovechkin himself is shooting an excellent 13.4 percent. Not counting his own scoring, everyone else on the ice with him is shooting in the range of 3 to 4 percent. That’s almost impossibly low. Meanwhile, Ovechkin’s 5-on-5 on-ice save percentage is just 90.2 percent, one of the worst marks in the league. Some of that is due to Washington’s iffy goaltending this year, but Ovechkin also ranks last among Capitals players. So of course his assists are down — his teammates aren’t finishing. And combine that with poor goaltending behind him, and no wonder his plus/minus has plummeted. And yes, you could still fit the percentages into your “lazy puck hog” narrative. Maybe you still think the low save percentage is his fault, even though we know that stat is largely random for forwards. And maybe his teammates shoot so poorly because he never gives them the puck in good situations, selfishly keeping it for himself instead of dishing to the wide-open man. Or maybe he’s largely the same player he’s always been, just with a healthy dose of bad luck thrown into the mix this year. Which way you lean probably has a lot to do with how willing you are to trust what the percentages are telling you. On-ice shooting and save percentages are useful “advanced” stats that have the additional benefit of not being especially advanced — you don’t need a math degree to understand them, and they measure something that makes intuitive sense. Even if you’re not interested in crunching relative Fenwick percentage and quality-of-competition rates, your favorite player’s on-ice percentages are worth occasionally checking in on. And that’s especially true when the traditional stats, like goals and assists or even (heaven help us) plus/minus, seem to be telling us that something about a player’s game has changed dramatically. It probably has. But if that something is his on-ice percentages, don’t bet on it continuing for long.